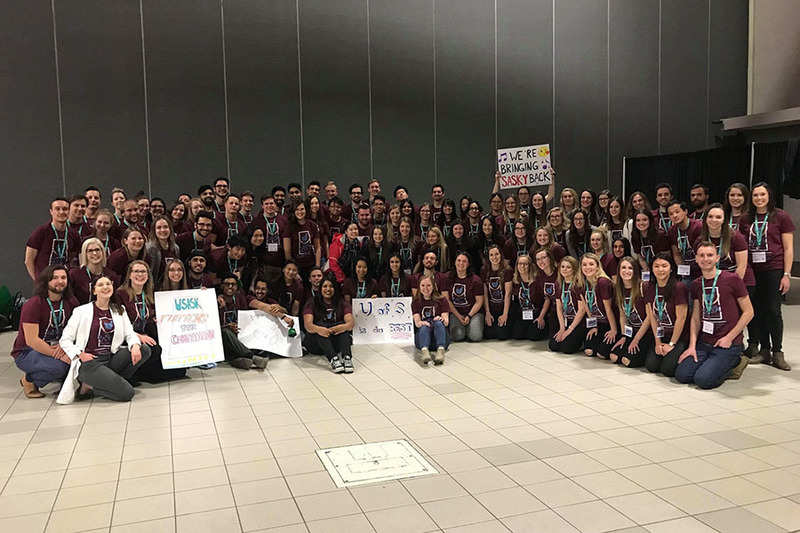 With 94 delegates at the 2018 CAPSI Professional Development week, the University of Saskatchewan had an impressive showing at the national conference. Dylan Hope ​earned second place at the Canada's Next Top Pharmacist pageant. Logan Underwood, Darren Reithmeier, Daylin Sproule, and Laura Wu earned third place in the Pharmafacts Bowl. Michelle Meng, Alex Baran, Jonathan Williams, and Diar Al-Azawi earned third place in the Compounding Competition. Kaitlyn Tress accepted the CAPSI Guy Genest Passion for Pharmacy Award for Saskatchewan. ​Darren Reithmeier and Tatiana Orlowski were selected to present their posters on research conducted through the College at the Health Fair. Dustin MacCuish and Melissa Liu ​volunteered at a blood pressure clinic and advocated for Pharmacists at the Alberta Legislature Building. The CAPSI National Council met during the four days of the conference and discussed pertinent topics and strategic planning for the upcoming semester. 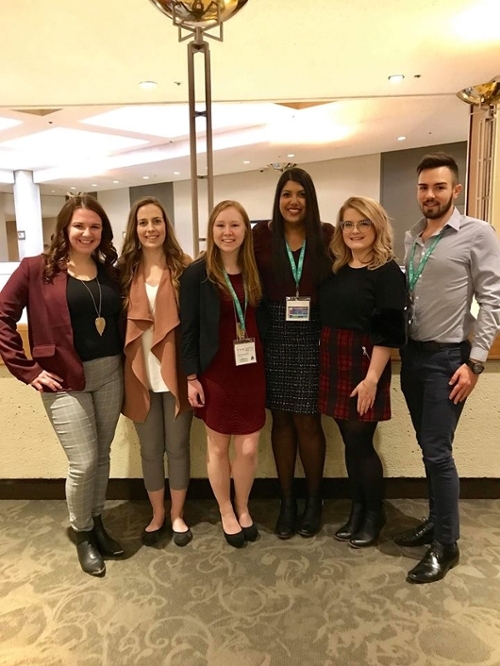 National Council members from U of S include Tara Sanders (National President-Elect), Stefano Barillaro (Finance Officer), Kaitlyn Tress (National Secretary), Shivani Trivedi (CAPSI Senior), Danielle Shymanski (CAPSI Junior), as well as U of S alumna Caitlin McGrath (National Past-President). ​​Tara Sanders will transition to the CAPSI President position. Sofiya Terekhovska has been elected as the IPSF Liaison. Danielle Shymanski will transition to the CAPSI Saskatchewan Senior position.